As lists go, I’m partial to my list of 105 Ways to Give a Book, featuring books paired with toys, trinkets, and activities. But as much as I favor my labor of love, I cannot ignore that it is also the time for Best Of 2009 lists. There are lots of these lists. Lots and lots of them all over the Internet. Fortunately, they are rounded up for easy use at Chicken Spaghetti. Thank you, Susan! For me, there are only three lists for this season, and top of those is the one from School Library Journal. I like the format, and I generally find myself in agreement on the books selected. I also think it tends to balance a bit more kid-appeal into the literary value equation. The list from Publishers Weekly also has a good format, but their reviews have less punch. I enjoy looking at the Kirkus supplement in paper, but hate leafing through the PDF, where it can be hard to tell at times where the list ends and the ads begin. 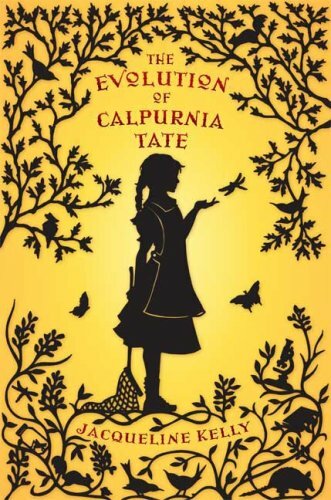 Plus they have inserts like “Second Look: Our Recap of previously featured books that also represent The Best of 2009,” which included The Evolution of Calpurnia Tate and The Day-Glo Brothers. But they don’t seem to be on the official list... or are they? I find that confusing. My favorite lists have yet to come out. The Cybils short lists will go live on January 1, 2010, and I’ll be doing my part in the Fiction Picture Book category to turn out a wonderful selection. 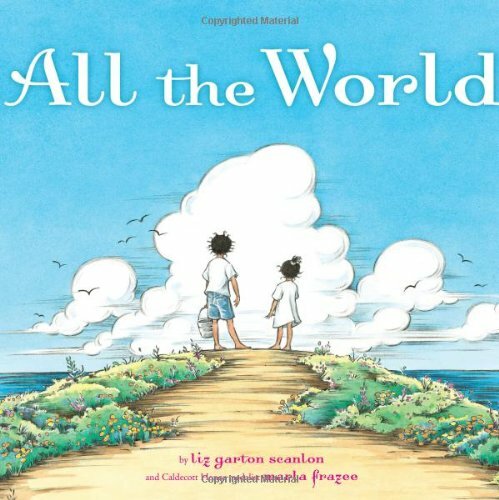 I also await with excitement the ALSC Notable Children’s Books list that comes out right after all the cool awards are given at ALA’s midwinter meeting on January 18th. But for now, here are of my favorites of the year from the School Library Journal, Publishers Weekly, and Kirkus lists. In fact, start at age two and this would be a pretty good list of books to give at each age up to fifteen. I’m just sayin’  holiday season and all. Speaking of which, Liz B. is hosting a Gift Giving Idea Round-Up and updating it as the posts come in. Go and check it out as another way be inspired to Give Books! And speaking of giving books, I’m in the mood to give one away. Comment here with a favorite book from 2009 different from the ones I’ve listed, and I’ll pick one person at random to win The Day Glo Brothers, by Chris Barton, and a surprise 2009 picture book. Winner selected and announced Friday, December 4th, at 3:00 EST. My favorite book for 2009 is "Under Seige" by Andrea Warren (Farrar, Straus and Giroux). Her writing is remarkably age-appropriate for dealing with serious subject matter. This one takes you to the Battle of Vicksberg through the eyes of three preteens. It's spurred good discussion and that is what I like best about having bought this book for my children. Anything But Typical, by Nora Raleigh Baskin (can't believe that's not on your list! )and Wild Things, by Clay Carmichael. There are others, but they're mostly on your list already. Any list that leaves out Brian Floca's MOONSHOT is no list at all! Tons of info and smart, smart, smart overall design. In addition to the wonderful art (one piece got a silver medal at this year's Society of Illustrators kid book original art show), the language that sits on top of all the research - the actual text of the book - is open and evocative: the author hasn't let his fact-checking bury his wonder. All in all, a can't-go-wrong title. My favorite of the 2009 books I've seen so far is "The Book That Eats People" by John Perry and Mark Fearing. A wonderful twist for the picture book format. Tim, I have no doubt that Moonshot is wonderful and I'm pretty sure that I saw it on some of the lists. I can make it one of my bests of 2009 though because - don't kill me - I haven't read it yet. You know what, I'm putting it on hold right now. I really loved Hannah's Winter, by Kierin Meehan. Especially great for the young, all things Japan loving, teenage girl. Pair it with doughnuts and Japan-esque stationary. Or better yet, tickets to Japan, because it will make you want to go there. Which I had no desire to before. Newsgirl by Liza Ketchum is one of my top 3 mg fiction reads this year. My son really likes "There are Cats in this Book". We bought him a copy for his birthday. I think it came out in 2009. Re: 'on hold.' You won't be sorry. This should earn you a Junior Chicken Spaghetti badge! Great collection of list links. My favorite chapter book of the year is probably Burn My Heart by Beverley Naidoo. As for picture books, I'm completely stumped. Most of the ones you listed I haven't read yet. Pam, I love your list - great choices! My favorite to add to it would be When the Whistle Blows, by Fran Cannon Slayton. Just loved it - reminded me of Gary Paulsen's Harris and Me, or How Angel Petersen Got His Name. Great boy book. Your 105 gift giving ideas are amazing! wow - what a great resource! thank you! Hey, MR. Thanks for the shout-out. I find those Kirkus "second look," etc., confusing, too. I liked so many books this year; one that comes to mind right at the moment was Tanita Davis's MARE'S WAR. I have a Day Glo Bros, (another good one!) so no need to enter me in the giveway. Oh...so hard. My favorite book of 2009 so far is the wonderful Lips Touch by Laini Taylor. But since you've already listed that I'm going to choose Fire by Kristin Cashore. Or The Ask and the Answer by Patrick Ness. But for storytime, the best picture book I found from 2009 was Can You Make A Scary Face? by Jan Thomas. So funny. No Magician's Elephant on your list? I adored that book! I also really liked Spellbinder by Helen Stringer and should probably gift it to someone. Hi there, Kirkus's Children's editor here. Books in the Second Look and Best Continuing Series features are indeed included in the overall Best list. It's our way of both breaking up the format and making sure we are not effectively repeating coverage. Sorry about the confusion! Skeleton Creek by Patrick Carman! A truly wonderful list. Day Glo Brothers and All the World have my vote for sure. I just added a ton of my books to my library hold list. Thanks for putting this together!